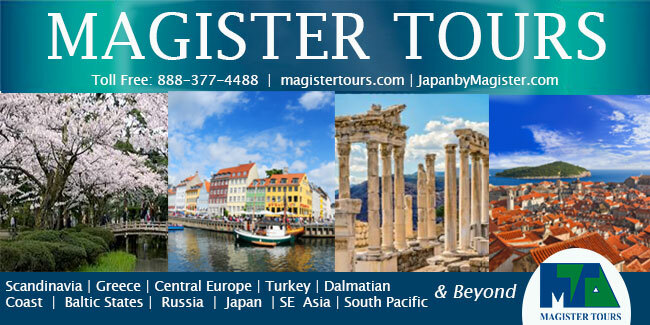 Magister Tours has been creating extraordinary journeys for 44 years. We offer custom itineraries throughout Greece, Scandinavia, Central Europe, Croatia, Turkey, Japan, Asia and beyond. Contact us for more details or visit our website for sample itineraries - www.magistertours.com or www.japanbymagister.com. Explore the highlights of Hungary, Slovakia, Czech Republic, and Austria on a Sojourn through Central Europe. The sample itinerary is based on 7 days - but you can add more days or eliminate a stop - whatever suits your clients' interests. It's their time and we want to make sure that it is specially planned just for them. Personalizing itineraries is our specialty. Click here for more details. 12% Commission or NET quote. 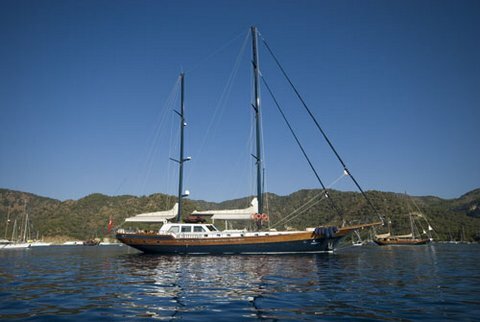 Relax aboard a luxury gulet and take in the coastal sights as you sail along the crystal-clear blue Aegean on a Blue Cruise. The beautifully crafted wooden sailing boat is outfitted with modern amenities and a crew to take care of your every need. Dine on fresh delicious cuisine prepared onboard. Swim, snorkel, and explore small villages and ancient sites along the coast. It's an ideal getaway for families and friends. Personalizing itineraries is our specialty. Click here for more details. 12% Commission or NET quotes. We also offer shore excursions and pre and post cruise extensions throughout Europe and the Mediterranean. Just let us know your client's interests, time and budget, and we'll create a memorable vacation for them. We do not market to the consumer - so we rely on your support!